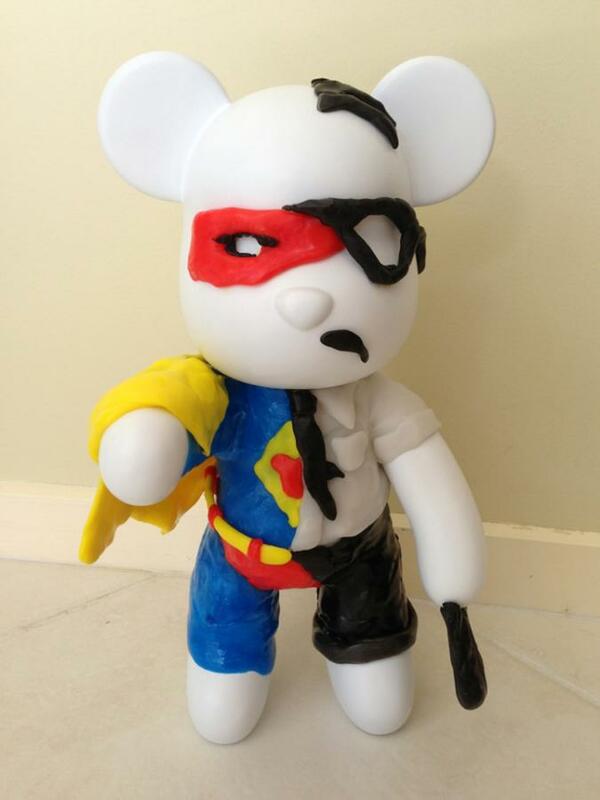 Jimmy used some coloured Plastimake to decorate a plain vinyl bear. It's titled "Secret Identities". This bear, and many others, are currently being auctioned as part of an exhibition called "Toy to the World", raising funds for HIV research. The auction runs until February 1, check out the Facebook page for all the details.